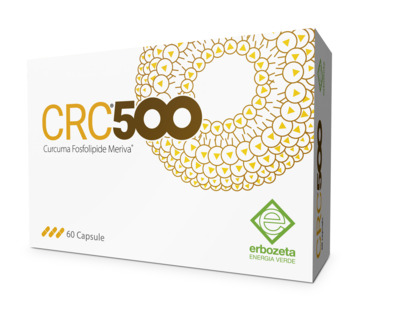 CRC®500 is a food supplement based on Meriva®– Turmeric Phospholipid. Turmeric is useful for its antioxidant action. Take 2 capsules a day, one in the morning and one in the evening, preferably on a full stomach. You can open the capsule and pour the content into a liquid (milk, yoghurt, juice).